I couldn’t wait to see the Autumn / Winter 2011 Dior Haute Couture collection that took place yesterday July 4 in Paris. 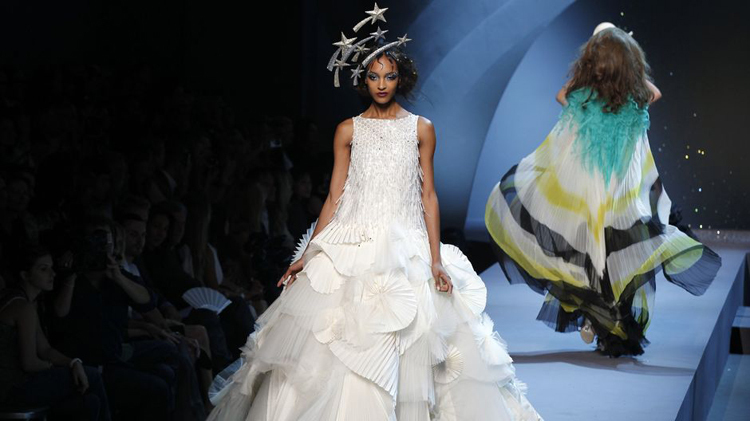 It had only partly been made by John Galliano, who after fifteen years of dedication had a big influence on what we now still understand as the new Dior look – and above all, its show skills. The loud and bright colour palette is still present: Dior Haute Couture A/W 2011. As the opening of the fall couture season, the show took place in a rather small tent set up in the rose garden of the beautiful Rodin Museum. Surrounded by statues of the great artist, set designer Michael Howell incorporated the location’s main topic into the show. Influences of the geometric and colourful designs as by the Memphis group, architectural structures such as from the Bauhaus, Ettore Sottsass or Frank Gehry seemed to glimpse from one piece or the other. Inspiration also came from Christian Dior‘s cliff top garden ‘Les Rhumbs‘ at his childhood home in Granville, Normandy. 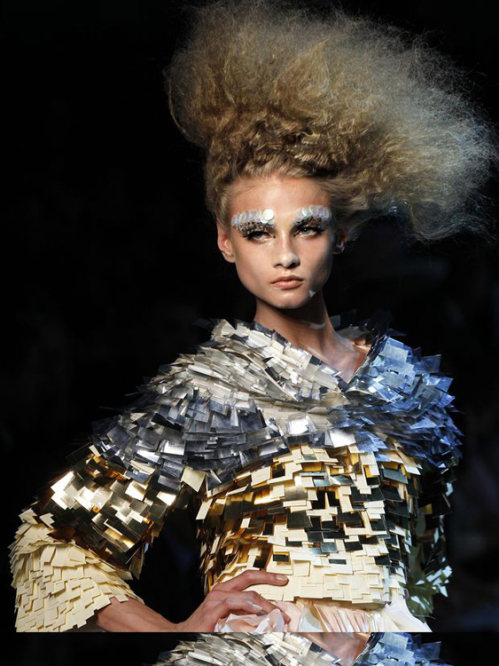 Make-up wise, done by Tyen and Pat McGrath, there was still quite a bit of Galliano’s tendency to opulence noticeable.